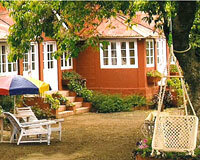 Fredrick Hotel is located on the outskirts of Mahabaleshwar. 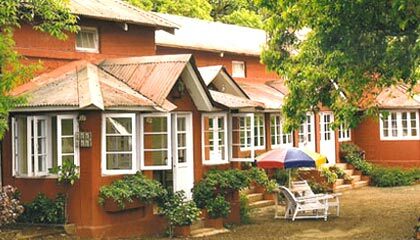 Established in 1924, Fredrick Hotel is an awesome place to stay, along with all modern comforts and plethora of activities. 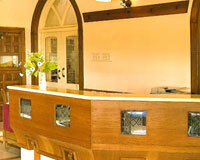 With unparalleled hospitality and flawless services, the hotel forwards a superb staying experience with old world charm. The hotel enjoys the panoramic views of lake and golf links, ensuring a tranquil atmosphere. It affords well-appointed, spacious rooms loaded with modern amenities, offering delightful views of surrounding area. 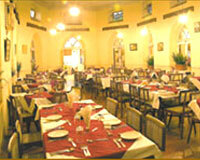 The hotel offers variety of scrumptious cuisines in its dining area. Recreate your senses with refreshing mountain breeze and vista of scenic valley, along with all present day conveniences at the hotel. In short, a stay at Fredrick Hotel is an unforgettable experience for the travellers. 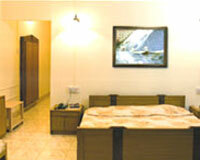 The hotel boasts of tastefully decorated rooms offering queen size beds, double and triple beds. 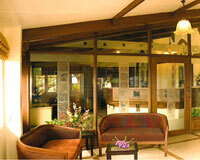 These rooms are stuffed with modern facilities and provide the delightful panorama of lakes and golf links. Fredrick Hotel has a multi-cuisine restaurant that serves delicious Continental, Indian, Mughalai & Chinese cuisine.